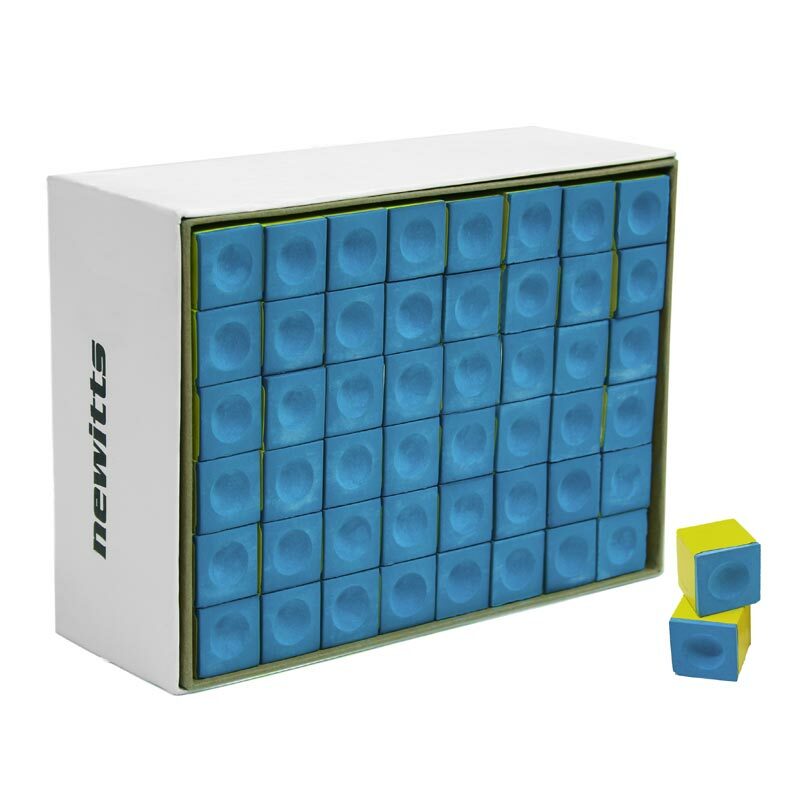 The Newitts B Grade Snooker and Pool Cue Chalk is used by almost all top professional snooker players. 1 x Box of 144 cubes of blue chalk. U.S. made high quality B Grade chalk. Will not cake or flake and offers a smooth coating of your cue tip time after time.